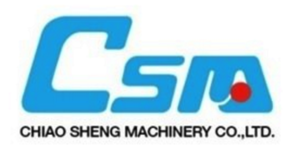 CSM, a pioneer in tube bending machinery, supplies the most innovative CNC bending machines in the globe. The capacity is ranging from OD 6 mm to max 254 mm. Our machines are implemented in diverse industries including aviation industries, automotive industries, ship building, furniture making, HVAC, architecture, petrochemical pipelines ... etc. Attributed to our exclusive designs, CSM machines are significantly more compact and consolidated than other manufacturers. In addition to optimum performance, we assure you power efficient, energy economic and environment friendly. 13 モデル詳細についてVEW Chiao Sheng Machinery Co. Ltd.